Home / PPE / Helmets - PPE / Modern / Cairns 664FS Invader helmet with 4″ Faceshield, Std Config. Cairns 664FS Invader helmet with 4″ Faceshield, Std Config. 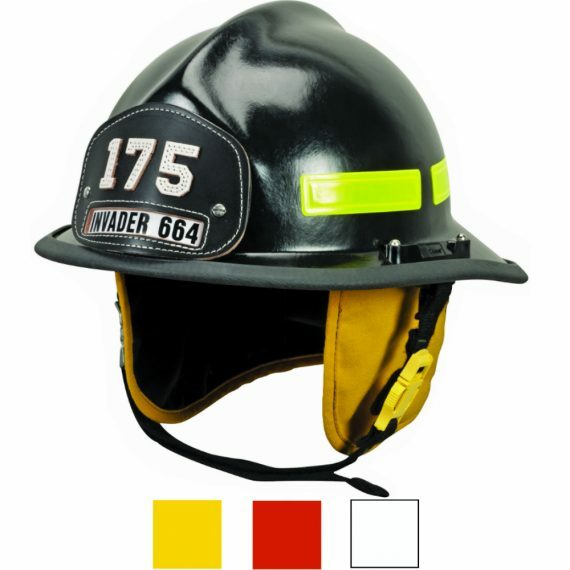 The new Invader 664 Cairns® Fire Helmet has the rough, durable matte look that many firefighters like, at a budget-friendly price. Constructed from a through-colored, DuraGlas™composite material that resists cracking and chipping, the Invader 664 Helmet provides full-brim protection, SCBA front headband adjustments, and ultra-high-temperature (TPR) edge trim that will not melt or drip. 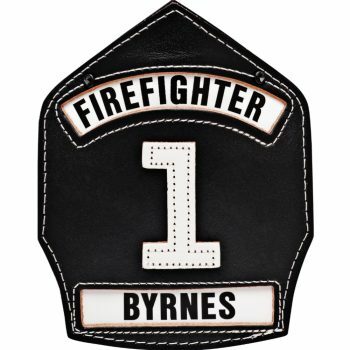 NFPA 1971-2000 certified. Rugged, through-color DuraGlas fiberglass composite shell. Non-corroding, high temperature-resistant faceshield/goggle hardware. Easy front headband adjustment to fit all head sizes. 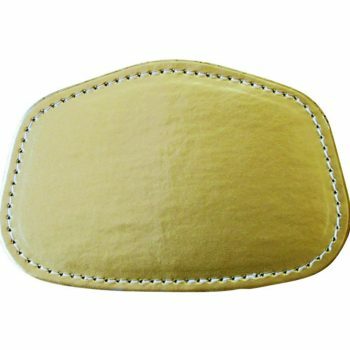 Headband (6-3/8 to 8-3/8) fits a wide variety of head sizes. 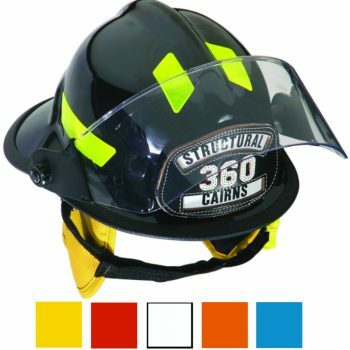 Lightest structural fire helmet in Cairns line. Well-balanced construction for all-day comfort. Tough thermoplastic shell for everyday durability.